Spray-on Stone™ is applied by trained professionals to ensure a high quality and long-lasting finish. Available through specialist rendering companies, please contact us to find a professional in your area. 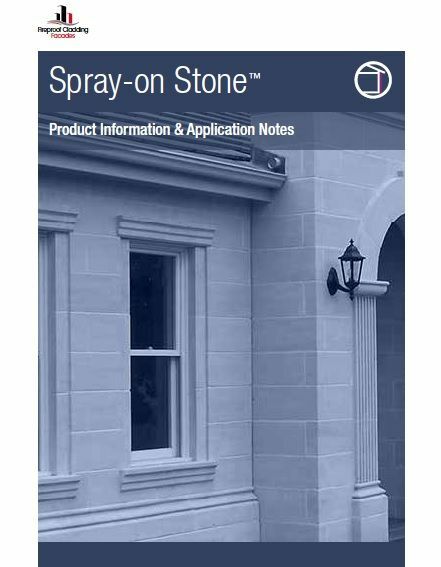 Benefits of using Spray-on Stone™ over traditional render? Achieve a quality stone look finish at a fraction of the cost of using stone blocks. A Durable and tough alternative to traditionally rendered finishes which won't fade. It's flexibility means that it won?t blister or crack with every minor movement of the substrate. If you have a building project coming up talk to us now about the $$$ savings and opportunity for exposure for your company by using Spray-on Stone™. Limited Offer Call now to secure your project. We are currently seeking experienced rendering companies who want to add this exciting product to their range of services. 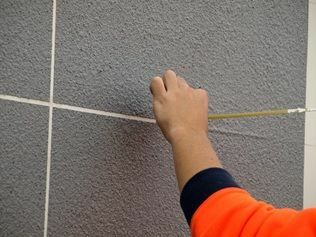 Spray-on Stone™ has a solid 18 year track record across a wide range of climates and project types. Training is provided either at our premises, or we can offer on-site training.